Established in 1906, Farnham Angling Society has grown into the leading angling club in the south of England. Their members can fish over seven miles of rivers and fourteen stillwaters in Hampshire, Berkshire & Surrey. FAS offers an enormous variety of angling opportunities to members of all ages and experience. With fifteen stillwaters, varying from picturesque estate lakes and larger impressive gravel pits, to small, well stocked ponds, Farham Angling Society are able to provide match, pleasure and specialist anglers with over 160 acres of Stillwater fishing and 7 miles of river fishing. Their excellent stillwater fisheries offer the opportunity to explore a variety of different fishing techniques for 364 days a year on many waters. With around 500 swims to choose from and secure parking on many of our venues, you can look forward to relaxing and productive fishing. The river angler is catered for with three miles of the River Loddon, a section of the River Whitewater and over four miles of the River Wey. These rivers offer some excellent angling opportunities. They have a very active junior where the younger members can learn a thing or two from the older members. The senior match section has enjoyed some great competition with outstanding catches during the last few seasons. The society has a strong commitment to providing facilities for disabled anglers, with a number of their fisheries now featuring specially constructed swims, where priority is given to disabled anglers to fish, both in safety and comfort. Additionally, all their toilet facilities are wheelchair accessible. - General Secretary. Mr Alan Hughes. 217 Beech Lane, Earley, Reading, Berkshire, England, RG6 5UP. The Reading and District Angling Association owns or leases some 22 miles of the River Kennet, River Thames, River Loddon and Kennet & Avon Canal as well as 13 lakes, offering some of the best coarse fishing in the South East of England. There are 36 coarse fishing clubs affiliated to the Association which caters for all types of anglers - the pleasure angler, the match angler and the specimen hunter. Full 2005/06 season membership costs �40 with concessions available for juniors and OAPs. Permits run from 16th June 2005 until 15th June 2006. Associate membership also available. 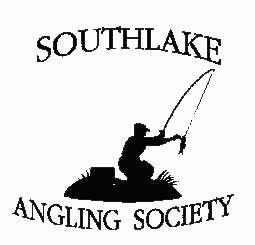 Southlake Angling Society is a thriving angling club, situated in Woodley, Berkshire. Established 21st April 1969 the Society has three venues, catering for the specimen hunter, match and pleasure angler alike. Southlake Angling Society presently have 2 lakes and 2 stretches of river, all of which provide excellent fishing throughout the season. Thatcham Angling Association is a coarse fishing club, situated in Thatcham, Berkshire. The association has a membership of approximately 600 anglers of all ages, and though most live within a 15 mile radius of Thatcham town centre, associate members come from far and wide, including an angler from Scotland who travels down for the excellent chub and barbel fishing to be had on the Associations excellent stretches of the River Kennet. The lakes complex cater for every type of angler, whether it is the specimen hunter after the large carp, bream or tench or the pleasure angler who can bag up on the smaller varieties, such as rudd, roach, perch etc. Match angling plays an important part of any clubs activities and Thatcham Angling Association is no exception, hosting a number of club and interclub matches each year. A predominatly shallow, streamy stretch of the River Kennett, a great favourite with traditional barbel anglers because of the many and varied types of swim. Fish tend to average 7 to 8lbs with the odd double figure fish showing. The wier pool produces the odd carp and some good bags of roach and dace can also be taken. If you turn right over the foot bridge and head into the wooded area there is some excellent roach and chub fishing to be had floating a stick float in the deeper glides. Fishing is dawn to dusk and the venue has a private car park. Jubilee Lake: the largest at some 11acres provides the pleasure angler with a variety of species to fish for. Carp to over 20lbs, Bream to double figures, Perch, Roach, Crucian Carp, Some Rudd and Tench to over 7lbs. There are also some large Pike present. The lake fishes well all year round and provides both interesting and varied sport. Jubilee also hosts various matches throughout the year and produces some impressive weights. Long lake: the second largest of the lakes, is noted for the 100lb plus bags of Tench it produces to bothe ledgering and floatfishing methods. The lake also is home to some large Carp to over 30lbs and provides a good challenge to the dedicated specimen angler. Roach, Perch and Pike are also present and are worth targeting, sometimes producing some large specemins. The lake is also home to some very big Bream and fish to over 9lbs are not uncommon. Horderns-mere: the smallest of the three lakes offers a Mr Crabtree type setting in the summer months with its Lilley pads, bays and overhanging trees. The lake has large stocks of Roach, Rudd, Tench, Bream, Perch, Pike and Carp. There are also some Crucians present. The lake is an excellent venue for the pleasure and junior angler alike and provides interesting and varied sport all year round. - The White House: The White House is part of the Kennet and Avon Canal that has the River Kennet flowing through it. It is over 6 foot deep in parts and holds a large variety of fish (Roach, Perch, Chub, Dace, Breem, Barbel, Carp and Tench). It is not uncommon to see Chubb over 5lb, Breem to 4lb and Perch around the 2lb bracket.